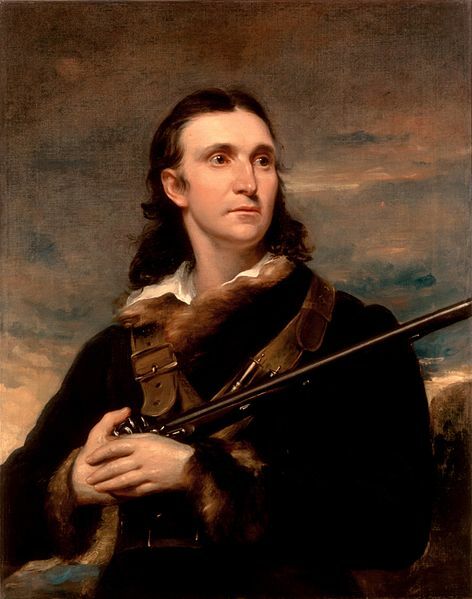 John James Audubon, formerly Jean-Jacques Fougère Audubon, a French refugee driven to America by the Napoleonic Wars. Portrait by John Syme, 1826. Before he became a famous ornithologist, naturalist and painter, John James Audubon (1785-1851) was Jean-Jacques Fougère Audubon, born in the French colony of Saint-Domingue (present-day Haiti) and raised in France. Initially Audubon’s father – a naval officer – wanted his son to follow in his footsteps, much against the boy’s inclinations. Audubon suffered from seasickness and was not keen on navigation. After a year of studies in Rochefort, he returned to his father’s villa on the Loire below Nantes. Audubon’s father eventually changed his mind about his son’s career. In 1803, fearing Audubon would be conscripted into the forces Napoleon was mustering for a planned invasion of England, his father arranged for him to sail to the United States to superintend a property there. Audubon was 18 years old. In 1805 Audubon returned to France to make his father aware of problems with a business associate, and to request his father’s permission to marry an American, Lucy Bakewell. France was at that time in a great state of convulsion; the republic had, as it were dwindled into a half-monarchical, half-democratic era. Bonaparte was at the height of success, overflowing the country as the mountain torrent overflows the plains in its course. Levies, or conscriptions, were the order of the day, and…my father felt uneasy lest I should be forced to take part in the political strife of the days. Audubon’s father obtained a leave of absence for this son and arranged a false passport for him, which stated that Audubon was born in New Orleans. In 1806, Audubon again found himself on a ship bound for New York, along with other Frenchmen travelling under assumed names to avoid conscription. The ship was overtaken and robbed by an English privateer. Audubon kept his gold safe by hiding it in a woolen stocking under some cable in the bow of the ship. Audubon became an American citizen in 1812. After years of field observations, he wrote, illustrated and published a magnificent book, The Birds of America, which includes 435 hand-coloured, life-size prints of 497 North American bird species. This was followed by a sequel, Ornithological Biographies. Audubon discovered 25 new species and 12 new subspecies, and made a significant contribution to the understanding of bird anatomy and bird behaviour. John James Audubon died in New York City in 1851. Jean-Victor-Marie Moreau (1763-1813) was a skillful general of the French Revolutionary Wars who helped Napoleon come to power in the coup d’état of 18 Brumaire (November 9, 1799). As a reward, Napoleon gave Moreau command of the Army of the Rhine. Moreau resented taking orders from the younger Corsican general and initially refused to follow instructions. 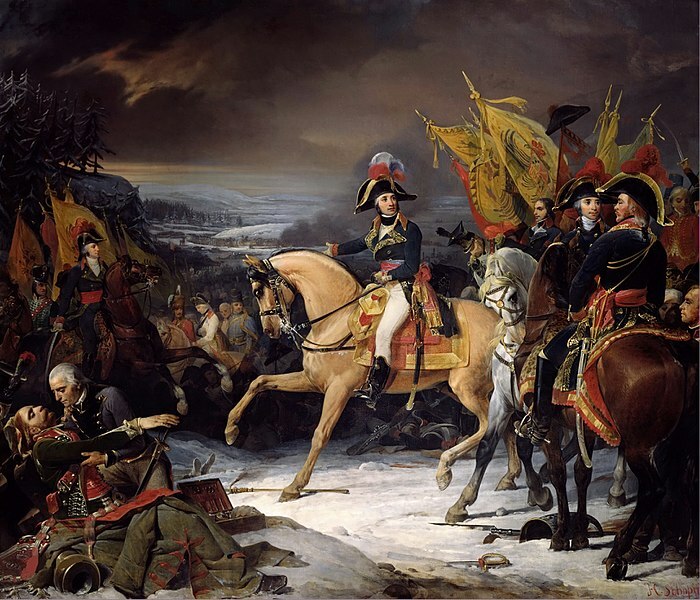 Napoleon began to regard Moreau as a rival, a feeling that was exacerbated by Moreau’s stunning victory over the Austrians and Bavarians at the Battle of Hohenlinden on December 3, 1800. Napoleon feared that Moreau, a republican, was plotting against him. Moreau renewed his friendship with Jean Pichegru, an exiled French general who was involved in a plot to overthrow Napoleon (see “Assassination Attempts on Napoleon Bonaparte”). Moreau was arrested in February 1804. Although a trial found him not guilty of being a conspirator, Moreau was sentenced to two years’ imprisonment for failing to report the plot to the authorities. At Moreau’s request, and in light of the general’s popularity with the army and the public, Napoleon changed the sentence to banishment from France. Moreau arrived in New York City in August 1805. Benjamin Rush, one of the signers of the Declaration of Independence, visited him. Moreau settled in Morrisville, Pennsylvania with his wife and young daughter. He bought an estate near the Delaware River, where he fished, hunted and entertained visitors. Moreau discussed military strategy with American officers, while his wife shocked the locals by dancing and playing cards on Sunday. General Moreau returned to Europe in 1813 at the request of Russian Tsar Alexander I, to help defeat Napoleon. While speaking with the Tsar during the Battle of Dresden on August 27, 1813, Moreau was struck by a cannonball that shattered his right leg, passed through his horse, and destroyed the calf of his left leg. The general reportedly told those around him, “Be calm, gentlemen; this is my fate.” (5) Both legs had to be amputated below the knee. Moreau died of his wounds on September 2, 1813. 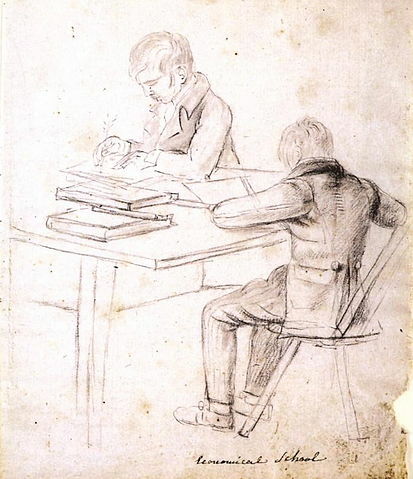 Scene at the École Économique, or the Economical School, 1810 – 1814, by Anne-Marguerite Hyde de Neuville. The Hyde de Neuvilles set up the school for the children of refugees from Saint-Domingue. Jean-Guillaume Hyde de Neuville (1776-1857) was in England plotting a French royalist uprising when he learned of Napoleon’s 1799 coup d’état. He returned to France to try to persuade Napoleon to restore the Bourbon monarchy. When Napoleon and his police minister became convinced that Hyde de Neuville had played a role in the “infernal machine” attempt on Napoleon’s life on December 24, 1800, Jean-Guillaume and his wife Anne-Marguerite went into hiding. After their estate was seized, Anne-Marguerite met with Napoleon to ask for clemency. Napoleon agreed to restore the confiscated property, but only if the Hyde de Neuvilles went into exile in the United States. They arrived in New York City in 1807. Hyde de Neuville founded a school for the children of French refugees from Saint-Domingue. He organized balls and concerts, and edited a monthly literary magazine to support the school’s operation. Anne-Marguerite painted watercolours, a number of which she published in a book called American Sketches. In 1811 they bought a small estate near New Brunswick, New Jersey, where they raised merino sheep. General Moreau tried to entice Hyde de Neuville to join him in serving with the allies against France, but the latter refused. After Napoleon’s 1814 abdication, the Hyde de Neuvilles returned to France. When Napoleon escaped from Elba in 1815, Hyde de Neuville accompanied Louis XVIII into exile. Although a firm royalist, he felt sympathy for Napoleon when the latter was defeated at the Battle of Waterloo and exiled to St. Helena. The Hyde de Neuvilles returned to America in 1816, when Jean-Guillaume was appointed French ambassador to the United States. He kept a close watch on Napoleonic exiles in the United States, including Joseph Bonaparte, Charles Lallemand and Charles Lefebvre-Desnouettes. Despite the surveillance, Hyde de Neuville was generous to his political opponents, knowing what it was like to be a political refugee. Jean-Guillaume Hyde de Neuville was recalled to France in 1820. He returned to Washington in 1821-22 to negotiate a commercial convention with the United States. He later served in the French Chamber of Deputies, and as France’s naval minister. In 1802, Jean Frédéric de La Farge (1786-1858) sailed as a 15-year-old midshipman on an expedition sent by Napoleon to put down a slave revolt in Saint-Domingue. Tempted by promotion to the rank of lieutenant, La Farge joined the land forces upon arrival and was eventually taken captive by the insurgents. After the withdrawal of the French in December 1803, La Farge remained in newly-independent Haiti. When he heard rumours of an impending massacre of all remaining whites, he escaped, arriving in Philadelphia in 1807. Having no desire to again be pressed into French military service, La Farge decided to try his hand at commerce. He moved to New Orleans and used his French connections to build his wealth in international shipping and the mercantile business. He partnered with Joseph Russell in the importing and exporting firm of Russell and Lafarge, which was the business employed by President James Monroe in 1817 to acquire French furniture and other goods to decorate the White House in Empire style. La Farge also speculated in real estate. He purchased large tracts in upstate New York, an area favoured by French exiles like Joseph Bonaparte and Pierre-François Réal. After 1820, he moved to Watertown, NY to manage his holdings. La Farge became a prominent developer in Jefferson County, where he made enemies by evicting squatters and fighting over property rights. He gave his name to La Fargeville, where he built an ostentatious mansion. In 1823 La Farge married Louisa Josephine Binsse de Saint-Victor, the daughter of a wealthy family that had fled France during the Revolution. Within a few years, John Frederick La Farge (he Anglicized his name) liquidated his holdings in upstate New York and settled in Manhattan. He invested in commercial properties, acquiring a fortune that caused him to be referred to in the same category as the Astors and the Vanderbilts. He and Louisa had nine children, including the painter, stained glass artist, and writer John La Farge (1835-1910). John Frederick de La Farge died at his summer home at Glen Cove, Long Island, in 1858. Another participant in the unsuccessful French expedition to Saint-Domingue was Jean Joseph Amable Humbert (1767-1823), a French Revolutionary general who had earlier led a failed invasion of Ireland. The commander of the Saint-Domingue expedition, General Victoire Leclerc, accused Humbert of indiscipline and other infractions and soon sent him back to France. Humbert’s rumoured affair with Leclerc’s wife, Napoleon’s sister Pauline Bonaparte, did not help. In 1803, Humbert was stripped of his rank and dismissed from the army “for embezzling army rations and selling them for profit, and for having illicit relations with the leaders of the brigands.” (10) Humbert retired to Brittany, where he became a farmer and a horse dealer. After being briefly recalled to service, he was discharged from the army in 1810. Given his dim prospects at home, in 1812 Humbert requested a passport to the United States, which Napoleon issued on the condition that he never return to France. Humbert went to Philadelphia, where he became involved in a plot to assist Mexican revolutionaries, who were seeking independence from Spanish rule. By September 1813 Humbert was in New Orleans, recruiting for an “army” to invade Texas (then part of Mexico). A number of his colleagues – veterans of earlier Texas filibustering expeditions – created a “Provisional Government of the Free Men of the Interior Provinces of Mexico.” Humbert was given a general’s commission and command of the so-called Republican Army of the North. In June 1814 Humbert sailed to Mexico to meet with rebel leaders. Upon his return to New Orleans, General Andrew Jackson recruited him to help defend against an impending assault on the city by British forces. During the Battle of New Orleans (January 8, 1815), when the British overran the American line on the west bank of the Mississippi River, Jackson sent Humbert with reinforcements to attempt to retake the position. The British withdrew of their own accord, which was just as well, as the American officers on the west bank were unwilling to relinquish command to a French officer. After Napoleon’s defeat at the Battle of Waterloo in June 1815, Humbert stayed in the United States. He again took up the idea of an expedition to Texas, but infighting among the filibusters, as well as full Spanish knowledge of the scheme, derailed his attempts. When he was offered the position of military commander of the Laffite brothers’ base on Galveston Island, Humbert eagerly accepted. He did not join General Charles Lallemand and other Napoleonic exiles in their quest to establish a military colony in Texas, but he did help them get back to New Orleans when the colony failed. For this service, Humbert received a share of the money collected for the colonists by the French newspaper La Minerve. He also received a military pension from the French government. Both Jean-Guillaume Hyde de Neuville and General Humbert appear as characters in Napoleon in America. John James Audubon, Ornithological Biography, or an Account of the Habits of the Birds of the United States of America, Vol. II (Edinburgh, 1834), p. v.
John James Audubon, Maria Rebecca Audubon, Audubon’s Story of His Youth, Scribner’s Magazine, Vol. XIII, No. 3 (March 1893), pp. 281-282. John Philippart, Mémoirs, &c. &c. of General Moreau (London, 1814), p. 189. Philippart, Mémoirs, &c. &c. of General Moreau, pp. 218-219. James L. Yarnall, John La Farge, A Biographical and Critical Study (New York, 2016), p. 11. Henry C. Castellanos, New Orleans as it Was: Episodes of Louisiana Life (New Orleans, 1905), p. 43. I enjoy your posts and articles. We see each other on some Facebook pages. I was extremely disappointed that you failed even mention the most famous French exile in America – Charles-Maurice Perigord de Talleyrand. Surely you have heard of him in your studies of French history before, during and after the reign of Napoleon? After all, he was in fact Napoleon’s Minister of Foreign Affairs and helped him to power in the coup d’etat of 18 Brumaire. I leave it to you to research his graceful exile and shocking conduct in Philadelphia, before returning to France with the help of Madame de Stäel. Thanks, Charles. Yes, Talleyrand was one of many Frenchmen driven to America by the French Revolution. 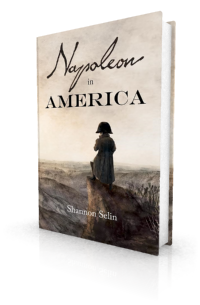 He returned to France in 1796, before Napoleon came to power, thus I didn’t mention him in this article, which concentrates on people who fled to America during the Napoleonic Wars. La Farge, do you know if he was an ancestor of Oliver La Farge, the anthropologist and writer? Or is it a case of “Same last name, no relation”? Oliver La Farge (1901-1963) was Jean Frédéric de La Farge’s great-grandson. Oliver’s father Christopher Grant La Farge (1862-1938) was the son of the artist John La Farge (1835-1910). By the way, I do recommend Oliver La Farge’s work. He is probably best remembered for his 1929 novel “Laughing Boy” (he won a Pulitzer Prize for it). Other titles I liked are novels “Sparks Fly Upward” (1931), “Long Pennant” (1933) and the short story collection “A Pause in the Desert” (1965). That last includes his amazing Western fantasy “Spud and Cochise” (the Cochise of the title is the Apache war chief). Thanks for these recommendations, John. I’ve never come across Oliver La Farge before. Looking forward to reading his books. Staying in the USA would have been far more honourable. I think it must have been a hard decision for him to go back and fight against Frenchmen. In contemporaries’ commentary on the words Moreau is reported as saying before his death, the implication is that Moreau was acknowledging that he got what he deserved: i.e., it was his destiny to be mortally wounded for choosing to betray his former comrades. Mr. Cohn’s mention above of Talleyrand in America reminded me that Kipling used this historical episode in his short story “A Priest in Spite of Himself” (which is in the collection “Rewards and Fairies”). Thanks, John. That’s something else I’ve never read. Just found it online here: http://www.telelib.com/authors/K/KiplingRudyard/prose/RewardsFaries/priest.html. I see “Boney” appears in it as well. I am surprised you had never read that. The series of historical fantasies in his books “Puck of Pook’s Hill” and “Rewards and Fairies” are great stories. Some of the historical perspectives show the effects of being written 100 years ago but great stories. And the poetry in these books, well, it’s by Kipling. What more does one need to say? Now, one last story recommendation (after which I will drop this lest I start coming across as some sort of creepy bibliophilic Internet stalker). It is by another author once well known and now fallen into obscurity Stephen Vincent Benet. Benet is now mostly remembered for “The Devil and Daniel Webster”. One of his stories that I think you would particularly enjoy is “The Curfew Tolls”. You can find it in an e-book collection titled “Fantasies and Prophecies”. I will not describe it for fear of spoiling the ending. A note on another point, if you are not already aware I will point out that this post was linked to last Monday, the 19th, on National Review Online. It was in the “Monday Links” by Debby Witt in The Corner under the title “Napoleonic refugees in America”. Kipling is wonderful. And now I am going to go and look up “The Curfew Tolls.” Thanks once again, John, for the thoughtful recommendation. I am also very grateful to Debby for including this article in her “Monday Links” for the National Review. Her VA Viper blog is a trove of historical miscellany. 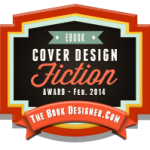 OK, last note and then I really will drop this: I made a mistake on the title of the Benet collection I recommended. I was distracted as I was writing and confused the sub title for the title proper. It is “By the Waters of Babylon and Other Fantasies and Prophecies.” Sorry, I do try to be accurate in my citations, especially when addressing a scholar such as yourself. Thanks, John. I found it in this collection of Benet’s prose on the Internet Archive: https://archive.org/details/selectedworksofs030023mbp/page/n7. Levies, or conscriptions, were the order of the day, and…my father felt uneasy lest I should be forced to take part in the political strife of the days.